then set the keyframe rotation from 0deg to 360deg . This all are very important points to be noted. 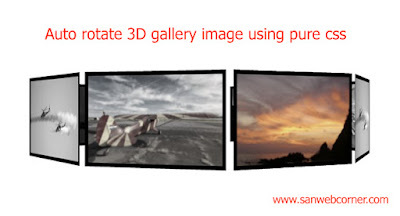 Please check the below demopage to view the auto rotate 3d gallery images. And download the code from here and use it to your website. 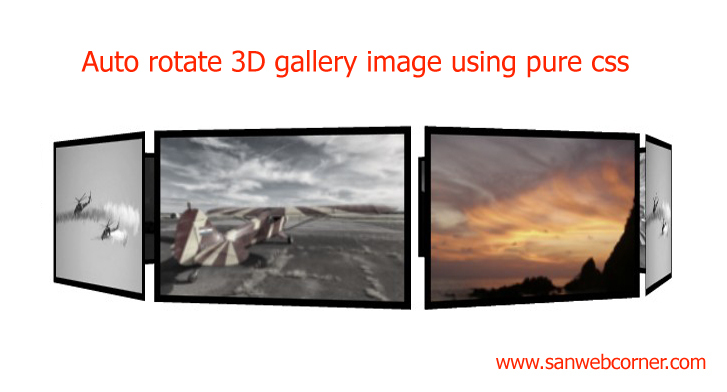 We can use this types of animation in gallery pages for our website. I hope this is very useful to you.